Saferoller Saferoller Cable Positioner: The Cable Layer provides the construction of perfect corners with the Saferoller lifeline system. 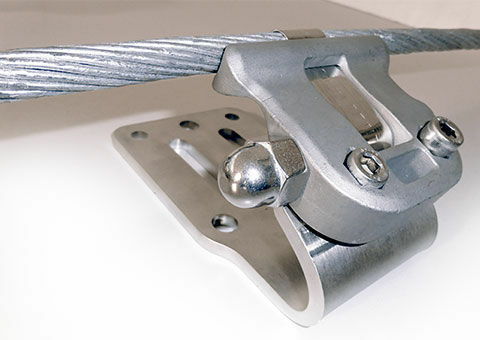 The Saferoller Cable Positioner maintains position of the wire rope between cable brackets. It is retroactively mountable, adjustable and removable. Enhanced throughput when cable is tight to the element. The Cable Positioner can be installed on trees, poles or walls. The Cable Positioner is not a safety gear.